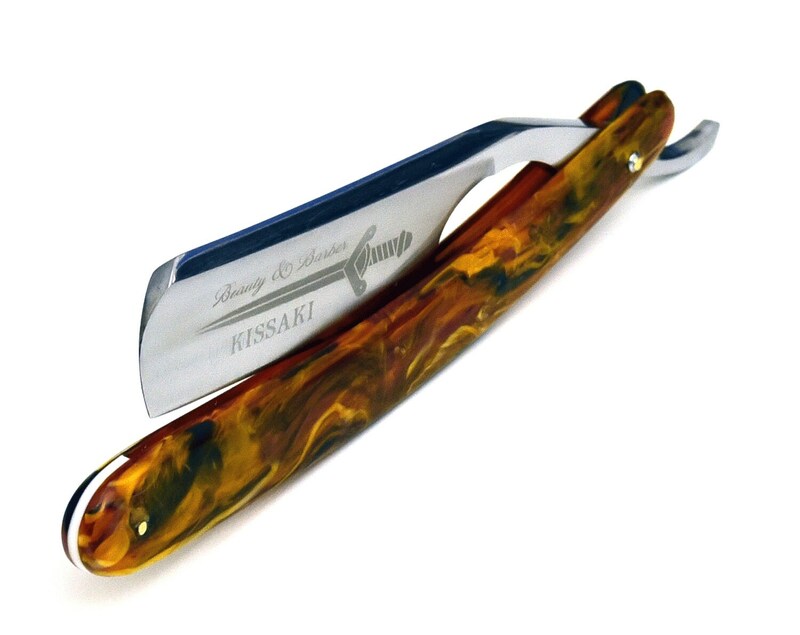 If you are looking to go "cut-throat" with your shave, check out Beauty & Barber line of straight razors. For years, we've been committed to sourcing and producing exceptional men's grooming items, and now we're excited to bring you these straight razors. 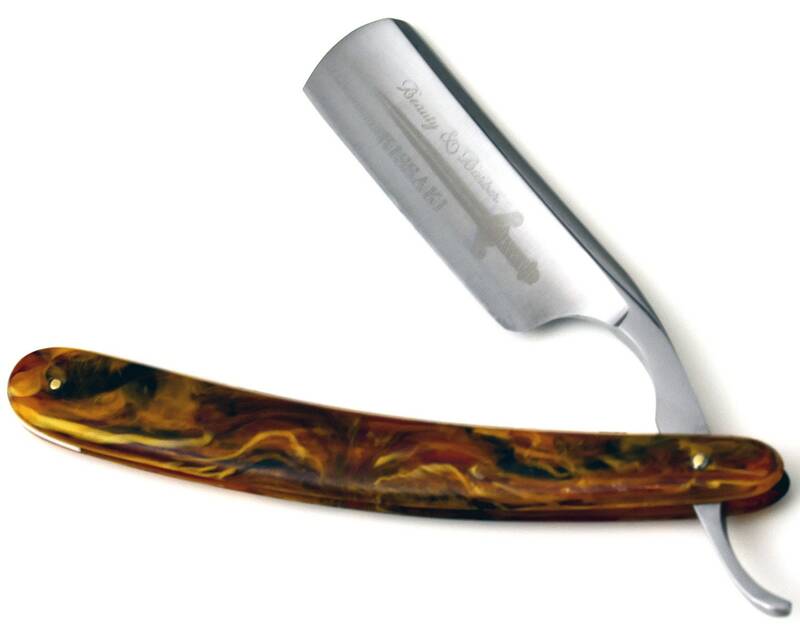 For over a year, we've been coordinating with the best straight razor manufacturers to bring you an exceptional product, right from the legendary blade steel making region of Solingen, Germany. 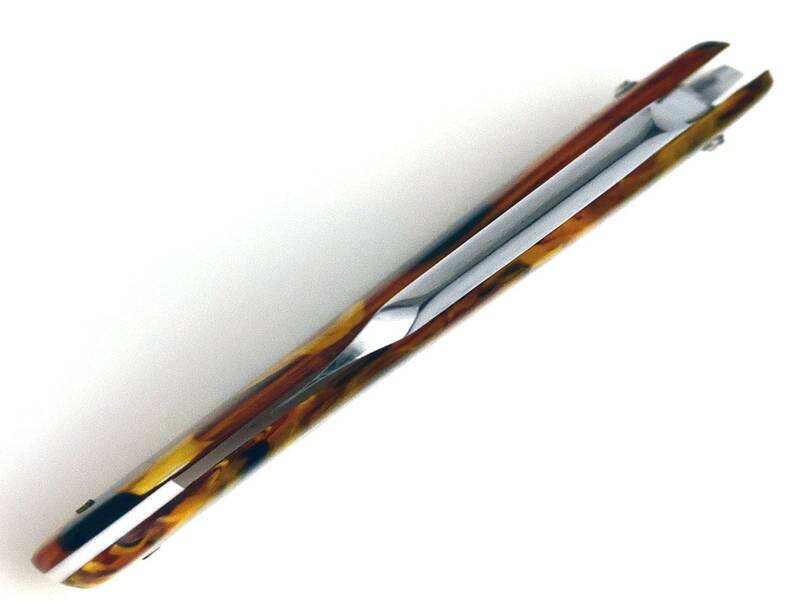 Check out our B&B tortoise acrylic Straight Razor, 7/8 High speed steel. 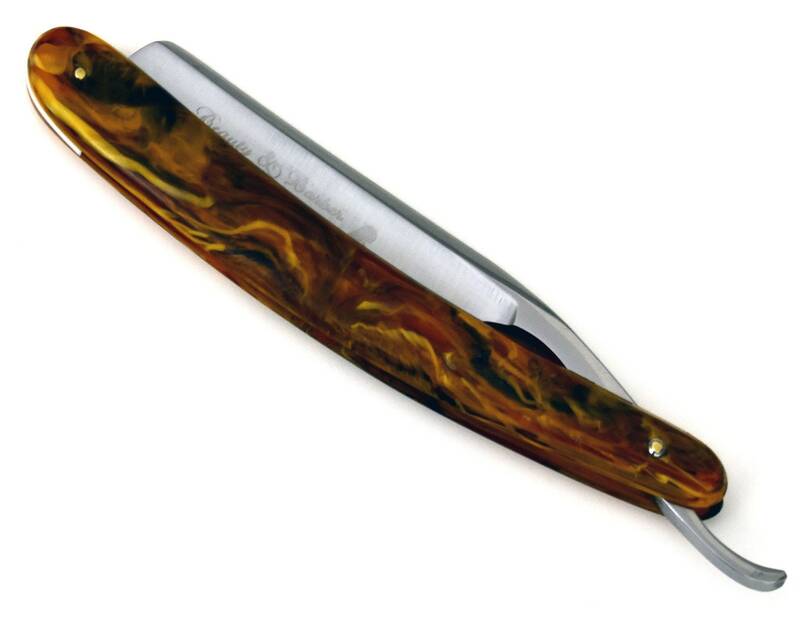 This elegant razor is perfect for the novice just getting his feet as well as the expert looking for a great addition to his den. The blade is 7/8" which is great for general beard growth removal and clear of markings which contributes to the clean lines. The full hollow grind and high speed steel is often preferred for its audible feedback. You can hear the blade "sing" as you are getting a BBS shave. And as long as you are embracing the straight blade, you might as well grab a good strop and learn the art of sharpening your newly acquired steel! 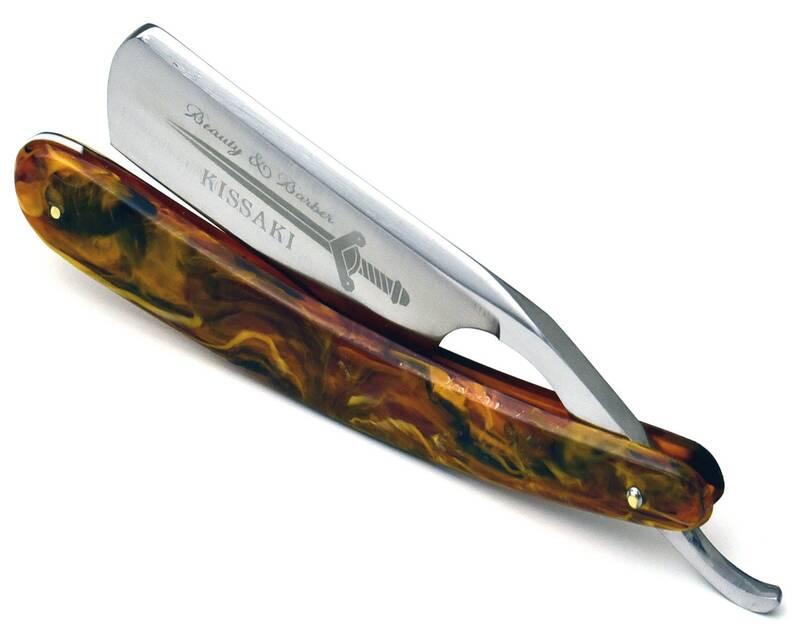 The Beauty & Barber logo is etched on one side of the blade so you know you are getting a quality product. 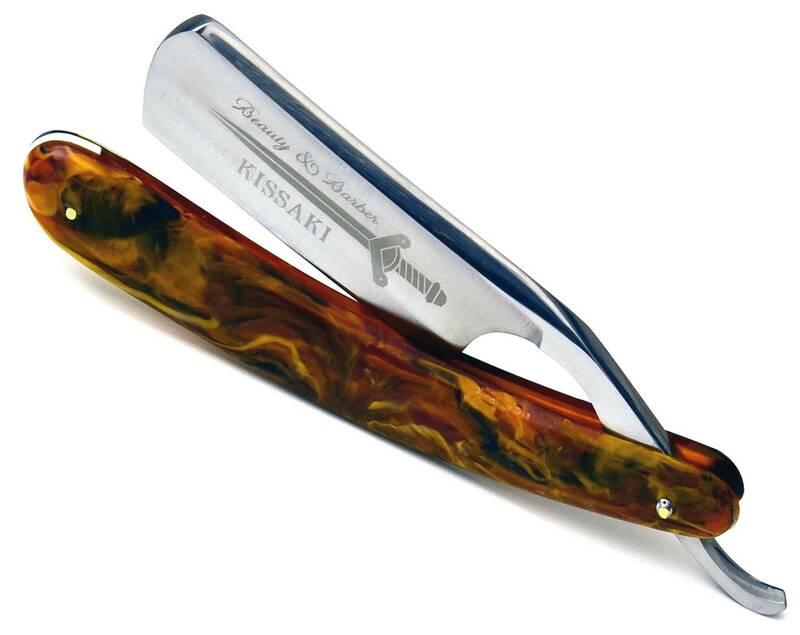 The tang and spine are polished for a unique brilliant mirror finish and the groove on the underside of the tang provides an excellent grip. The scales are a polished acrylic for a classic presentation. Each blade comes "shave ready" in a beautiful black pu leather sheath to protect your investment. 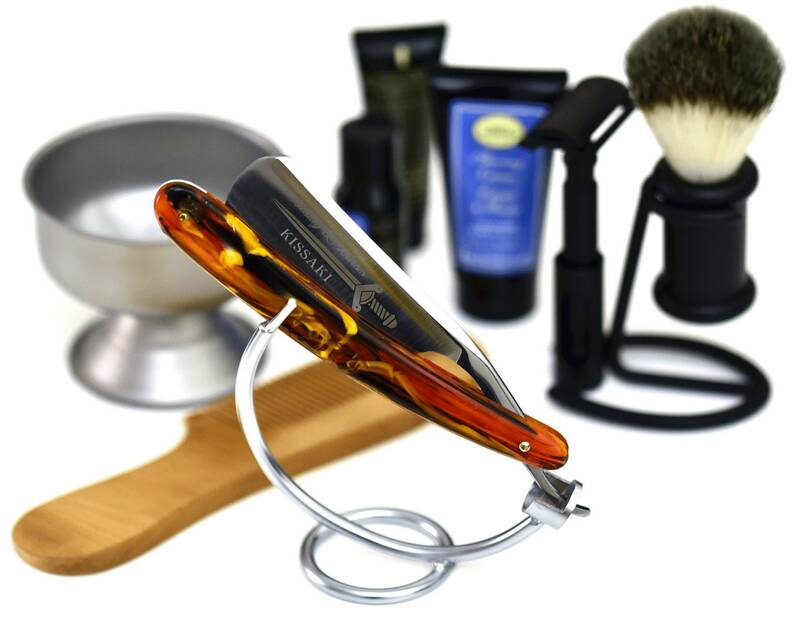 Invest in yourself, invest in your shave, invest is a great, enduring tool.